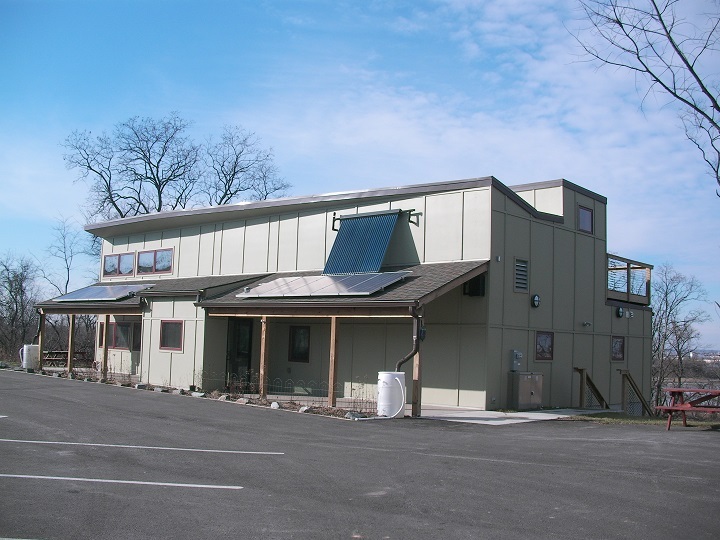 Masonville Cove Environmental Education Center - Min Engineering, Inc.
Min Engineering, Inc. provided mechanical and electrical engineering design and construction administration services for the new 5,000 SF Masonville Cove Environmental Education Center in Baltimore, Maryland. The project included assembly/classroom, kitchenette, classroom/lab, controlled lab, staff office, maintenance, and facility support area to provide environmental education programs for the residents of surrounding community and school students. Design included multiple “Green” strategies, such as solar heating, solar PV panels, rainwater collection, gray water system, daylight harvesting, low water plumbing fixtures, compact fluorescent lighting fixtures, geothermal heat pump, energy recovery ventilator, Demand Ventilation Control (DVC), occupancy sensor, and variable air volume and variable temperature control system with zone dampers.